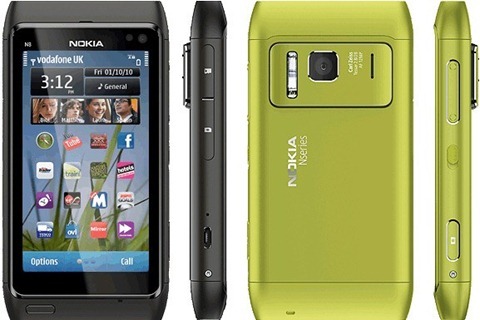 Nokia’s latest entertainment smartphone, the highly anticipated Nokia N8 with Ovi services, has started shipping. Customers who have placed a pre-order for the Nokia N8 in Nokia Online Shops and Nokia retail stores will be the first to receive their Nokia N8. Market availability will vary by country and operator, with broad availability in the coming weeks. “With the N8, and the new Symbian software, we are bringing a familiar, faster and more intuitive user experience to the world’s most popular smartphone platform. The Nokia N8 has received the highest amount of consumer pre-orders in Nokia history and we are thrilled to start shipments of the N8, the first of Nokia’s new Symbian smartphone range,” said Ken Oyolla, General Manager for Nokia East and Southern Africa. “To appeal to today’s high-end buyers, smartphones have to be enjoyable, useful and beautiful. Ease of use, excellent multimedia performance and elegant design are all essential elements of the package,” Oyolla added. Dubbed the world’s best camera phone, the Nokia N8 lets you take the highest quality photos and shoot HD-quality videos in supreme clarity with the 12MP camera with Carl Zeiss optics. The first of a series of smartphones based on the new Symbian, the Nokia N8 is fast and easy to use and supports true multitasking, allowing users to run multiple applications simultaneously and switch between them easily. Nokia N8 users can edit photos and videos on-screen and choose from multiple ways to share them; transfer large files to an external hard-drive with USB-on-the-go, or upload photos to social networks like Facebook, Twitter or RenRen straight from the homescreen. All this is delivered in a robust aluminum body in a range of vibrant colors with a real-glass 3.5” AMOLED display. The Nokia N8 has a black belt in entertainment. Its WebTV apps from channels like E! Entertainment, National Geographic and CNN and the intuitive music player inject an element of fun into idle moments. Plug the device to the home entertainment center to watch HD-quality videos from the big screen with full Dolby Digital Plus Surround Sound. The latest version of Ovi Store, available first on the Nokia N8, gives easy access to more apps – from social networking services like Foursquare to games like Need for Speed Shift or productivity apps like Tesco in the UK. Like other Nokia smartphones, the Nokia N8 comes with free Ovi Maps walk and drive navigation in more than 70 countries worldwide, with no hidden costs. The latest beta release of Ovi Maps is also available for download from Nokia Beta Labs for the Nokia N8. It features visibility to public transport in 85 cities around the world, as well as real-time traffic, safety camera alerts, visibility to parking and petrol stations, and speed limit warnings. Wow, now this is a phone i cant wait to land my hands on. A serious smartphone, life will be so much sweeter? And when exactly will it be available, and at what price?